BuddhAmbedkar | A dedication to Ambedkarite Buddhist mission ! MYSORE: Rallies and book distribution marked the 119th birth anniversary of Dr B R Ambedkar on Wednesday. Mayor Purushotham garlanded the statue of Dr Ambedkar at Town Hall. The celebration was jointly organized by the district administration, zilla panchayat, Mysore City Corporation, Mysore Urban Development Authority and the department of social welfare. Activists and students of various dalit organizations and associations took out a procession. The procession which started from Ashokapuram Park passed through thr RTO Circle, Ramaswamy Circle, Chamaraja Double Road, Corporation Office and KR Circle before culminating at the Town Hall premises. At another function, H D Kumarswamy and C Madesh Fans Association distributed books to the government school children. Social organisations and political parties in the city celebrated the 119th birth anniversary of Dr B R Ambedkar on Wednesday. Events like public meetings, tree plantation and distribution of notebooks to needy students were carried out on the occasion. In a public meeting, state president of Matang Front of Republican Party of India Hanumant Sathe said the country remained united because of the Constitution Of India written by Ambedkar. Sathe garlanded the statue of Ambedkar near collector’s office. Around 5,000 students of Maharashtra Cosmopolitan Education Society participated in a rally from Azam campus to Ambedkar statue near collector’s office. In the rally led by Latif Magdum, students carried posters saying ‘Educate, Organise and Fight for Rights’; ‘Long Live Dr Babasaheb Ambedkar’. The National Social Justice Forum carried out a tree plantation drive. Vice-president of Pune Cantonment Board Sangeeta Pawar was the chief guest. PATNA: Had Baba Saheb Bhim Rao Ambedkar not emerged on the socio- political scene of India, I would not have become the Speaker of Bihar Vidhan Sabha or, for that matter, Meira Kumar would not have occupied the prestigious chair of the Speaker of Lok Sabha, said Uday Narain Chaudhary. Addressing the Ambedkar Jayanti celebrations organized by Patna University (PU) at geology department auditorium here on Wednesday, Chaudhary said till 1980s the Indian society had not accepted Ambedkar as a national hero. But, he is being widely acclaimed by all sections of the society today. It was Ambedkar who championed the cause of humanitarianism and tried to minimize the distance between two individuals. He, however, regretted that educated Dalits occupying important positions have started forgetting Ambedkar now a days. Speaking as chief guest on the occasion, Justice Jai Nandan Singh of Patna High Court observed that Ambedkar would always occupy a prominent place in the pages of Indian history because of his valuable contributions to society. The Indian Constitution is greatly influenced by his revolutionary ideas and thoughts, he added. In his key-note address, eminent litterateur and MLC Prem Kumar Mani said Ambedkar was not well understood in his time, but gained much popularity in later years. Mahatma Gandhi was very much influenced by Ambedkar in initiating programmes for eradication of social evils and the uplift of the deprived sections. Both Gandhi and Ambedkar fought political battles but they themselves remained apolitical. Ambedkar wanted to link social problems with the freedom struggle, he added. PU vice-chancellor Shyam Lal , in his presidential remarks, said the ideas of Ambedkar were still very much relevant today and none can ignore his contributions to the socio-economic development of Indian society. Ambedkar worked for ensuring a classless, casteless and divisionless society and fostering unity amidst diversity, the VC said. PU pro-VC S I Ahson, registrar Manoj Kumar and philosophy teacher R S Arya also addressed the gathering. Mumbai : A museum with many personal effects of revolutionary leader Bhimrao Ramji Ambedkar became a place of pilgrimage for hundreds of admirers on Wednesday, the 119th birth anniversary of the father of the Indian constitution. Besides this, the museum has 1,000 books belonging to Ambedkar, his violin, study table, a silver ink-pot presented to him by Lord Mountbatten, spectacles, the fur cap he wore during the fourth conference on Buddhism held in Nepa, and manuscripts of many his books.Located in the premises of Symbiosis Society on Senapati Bapat Road, the museum spread on a two-acre plot has the bed on which Ambedkar breathed his last, his footwear and clothes, utensils, travelling kit, the chair on which he was seated when he presented the Constitution of India to the Parliament and his Bharat Ratna medal. An urn containing his ashes has also been kept in the museum. The museum also receives a throng of visitors on Ambedkar’s death anniversary on December 6, and on January 1, the anniversary of the first victory of the Mahar regiment over the Peshwas, said Sanjeevani Mujumdar, the society’s honorary secretary and wife of Symbiosis founder SB Mujumdar. “Dr Ambedkar’s widow Mai Ambedkar actually wanted to have a museum of his belongings in Delhi. But because of space restraint, she couldn’t realise her dream. It was around this time that she met SB Mujumdar a couple of times in Mumbai in 1984-85, and after a couple of meetings with our family, she decided to give away these priceless belongings for the museum,” she said. The museum was constructed in the 1990s on a barren piece of land. The building is also used by the society for literacy programmes for its lower staff, character-building classes for children from neighbouring slums, and as a study center. Mumbai: Long, orderly queues are a common sight at Chaityabhoomi near Shivaji Park, the resting place of legendary leader Dr BR Ambedkar, and Wednesday, his 119th birth anniversary, was no different as thousands of followers in white stood waiting in the afternoon sun to get a ‘darshan’. “He pulled us out from the rubble and showed us what it is to lead a life of a human being. His sufferings are really nothing compared to ours. We have benefited because of his struggles,” said Anapurna Wakle, a 50-year-old lady from Nanded. Many stalls lined the road from the junction at Shivaji Park to the Chaityaboomi structure selling books, CDs, pictures, posters of Dr Ambedkar and Gautam Buddha, while flags and colours of Buddha and Dalits fluttered in the wind. Bhimrao Ambedkar from Gautam Nagar, Powai, said he is inspired by Dr Ambedkar and wanted to read more about him. “I read that Babasaheb was asked to fill a form and he wrote in his blood because he was denied admission to a college. Thereafter, he went on to become a barrister. This is inspiring for children like me,” said Ambedkar. The police were expecting over 9,000 followers at Chaityabhoomi, and had taken precautions of deploying the new combat vehicles and had also kept boats on guard. “We have three boats, including one of the fire brigade. There is a fire engine, a combat vehicle and 100 police on bandobast,” said Sanjay Kawde, the police inspector on duty. President Pratibha Patil led the nation in paying homage to the late Dr B R Ambedkar, the architect of the Constitution of India, on his 119th birth anniversary here today. Ms Patil joined other leaders in offering floral tributes at the statue of Dr Ambedkar on the lawns of the Parliament House complex this morning. Vice-President M Hamid Ansari, Lok Sabha Speaker Meira Kumar, ruling United Progressive Alliance chairperson Sonia Gandhi and Leader of the Opposition in the Lok Sabha Sushma Swaraj were amongst those present on the occasion. Also present were Delhi Chief Minister Sheila Dikshit, Union Minister of Social Justice and Empowerment Mukul Wasnik, Minister of Labour & Employment Mallikarjun Kharge, Minister of Parliamentary Affairs Pawan Kumar Bansal and Minister of State, Social Justice & Empowerment D. Napolean. Thousands of people visited theParliament House Complex since morning to pay tributes to Dr Ambedkar, regarded as a messiah of the marginalised and downtrodden sections of society. The function began with a prayer by Buddhist monks. Later, artistes of the Song and Drama Division presented songs. under the Ministry of Social Justice & Empowerment. New Delhi: The nation on Wednesday paid rich tribute to Dr B R Ambedkar, the architect of the Indian Constitution, on his 119th birthanniversary. President Pratibha Patil, Vice President Hamid Ansari and Congress president Sonia Gandhi were present at a function held in Delhi. Several functions are being organised in different parts of the country to mark the occasion. 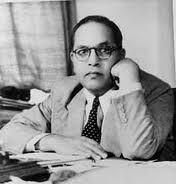 Dr Ambedkar spent his life fighting untouchability and the Indian caste system. He is also credited for having sparked off the Dalit Buddhist movement and was honoured with the Bharat Ratna for his contribution to Indian society. Overcoming numerous social and financial obstacles, Ambedkar became one of the first ‘untouchables’ to obtain a college education in India. He went on to pursue higher studies in the United States and England, where he earned law degrees and multiple doctorates for his study and research in law, economics and political science. Returning home as a famous scholar, Ambedkar practiced law for a few years before he began publishing journals that advocated political rights and social freedom for India’s untouchables. Rich tributes were paid to Dr Babasaheb Ambedkar today on the occasion of his birth anniversary here. City mayor Nayana Gholap, Deputy Mayor Devyani Pharande, MLAs, MPs gathered at the Shivaji road statue to pay respects to the Dalit leader. Blue coloured flags, caps and T-shirts with ‘Jai Bhim’ imprints were witnessed across the city and hundereds of his followers thronged the Buddha Smarak at Dadasaheb Phalke memorial on the occasion. A ‘shobha yatra’ was also organised to mark his birth anniversary. A procession, ‘chitra rath’, depicting pictures on the life of Ambedkar will be taken out later in the day. Bhimrao Ramji Ambedkar was born on April 14, 1891 in Madhya Pradesh to parents who belonged to the untouchableMahar caste. From a very young age, Ambedkar had endured enormous hardships due to the severe caste practices prevalent in the Hindu religion. Although born to an untouchable schoolteacher in the British Army, Ambedkar was highly educated; a Ph.D. from Columbia University (1927), D.Sc. from London School of Economics and Bar-At-Law from Gray’s Inn in London (1923). Ambedkar returned to India and established himself in Bombay, built up his legal practice, taught in law colleges and universities and also started a newspaper. In 1935, he was appointed as the principal of the Government Law College, a position that he held for two years. In 1936, Ambedkar founded the Independent Labour Party and in 1942 he founded the Scheduled Caste Federation for the independent political assertion of Dalits. In 1947 India achieved independence and Prime Minister Nehru appointed Ambedkar as the first Law Minister. Despite his unpopularity and criticisms, Ambedkar was also appointed Chairman of the Drafting Committee for the Constitution of India and played the central role in its drafting. February 1948, he presented the Draft Constitution that was adopted in November 1949 with all its 356 articles. As the Law Minister, Ambedkar fought vigorously for the passage of the Hindu Code Bill, one of the most significant legislation for women’s right in respect of marriage and inheritance. He resigned in September 1951 when the Bill did not pass in the Parliament. Ambedkar died on December 6, 1956. In 1990, he was posthumously honoured with India’s highest national award, “Bharat Ratna”. His teachings and writings have continued to influence a vast number of followers. Ambedkar Jayanti – 119th Anniversary Greetings – Share Ambedkar Books, Movie, Videos and other documents !!! literature, movie and other documents ! On 14th April there is 119th birth anniversary of Bharatratna Dr Babasaheb Ambedkar. As we all know Dr Ambedkar was a great sociologist, politician, founder of Indian Constitution, revivalist of Buddhism in India, His entire life was one of struggles. And his personal life was too miserable. He got many threats from the people who didn’t like social revolution made by him, But even though he did not lose his daringness for the social welfare of people of India. He became the first Minister for Law in free India, and shaped the country’s Constitution. We call him “Babasaheb Ambedkar” with love and admiration. Bhimrao Ambedkar was the lion-hearted man who fought for equality, justice and humanity. Here I am sharing some work of Dr B R Ambedkar. These are books written by him, speeches delivered by him on various occasions, Movie on him and other related documents books, videos, songs etc…I hope you will find them useful and awakening about the untold truth story and history about him. Let us not only praise him for his valuable contribution to the nation, but also follow the path shown by him…. JAI BHIM ! JAI BUDDHA ! JAI BHARAT ! 14th April is basically celebrated in India as “Ambedkar Jayanti” yearly, birthday of Dr. Bhimrao Ramji Ambedkar or generally Babasaheb. Dr. Ambedkar is also the composer of the Indian Constitution. Babasaheb was born on 14th April 1891 at Military Headquarter of War in Madhya Pradesh. He was born in a poor untouchable family. He passed out his entire life fighting against social prejudiced like the system of Chaturvarna, the categorization of Hindu Society into 4 varnas and the Hindu Caste System. He is also given the fame for his good speaking in the favor of thousands of Dalits with his Ambedkar Buddhism. Dr. Bhim Ramji Ambedkar has been honored with India’s highest Civilian Award, Bharat Ratna. Dr. B.R. Ambedkar was the chairman of the drafting Committee that was constituted by the Constituent Assembly to compose the constitution for the free India; he was too the first Law Minister of India. Bhimrao Ramji Ambedkar too known as Babasaheb was an Indian jurist, political organizer, Buddhist activist, theorist, philosopher, anthropologist, historian, orator, prolific writer, economist, scholar, editor, revolutionary and a revivalist for Buddhism in India. Dr. B.R. Ambedkar took many law degrees and various doctorates for his studies from Columbia University & the London School of Economics, Ambedkar returned home as a popular scholar and practiced law for few years. He is assumed as a Bodhisattava by the Buddhists of India though he never alleged himself to be a Bodhisattva Dalit Mela are held in different parts of the nation. The day 14th April will be celebrated throughout the nation in the form of his birthday Ambedkar Jayanti 2010 and it is also a national holiday. Ambedkar Jayanti is felt both in government & private organizations. Worships, meetings & memorial speeches will be delivered in different state capitals on the occasion of Ambedkar Jayanti 2010.